Hello, Gorgeous! : keepin' it casual. To be perfectly honest, I've been running late all day today. In fact, I'm late getting ready for a wedding RIGHT NOW!! But, what am I doing? Blogging. Oy vey! Anywho! I know I've shared some of these outfits lately, but I really wanted to make a post with strictly casual-wear that I've been wearing in the last couple of months. And since we've had an unseasonably cool Spring/Summer, most of these outfits will translate well into Fall (and maybe even Winter!). 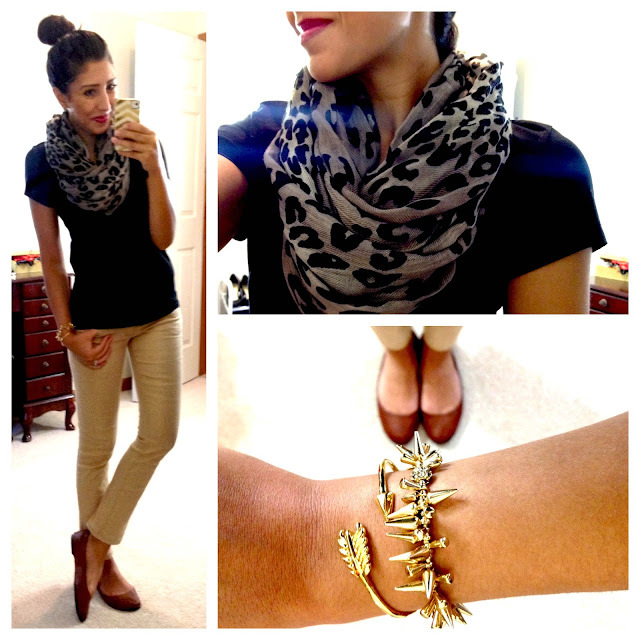 I love the outfit with the leopard scarf. I have pinned all your outfits in my work/ business clothes board. Thank you for all of your inspiration. I love how long your guess jeans are. Thanks for sharing all of the outfits. 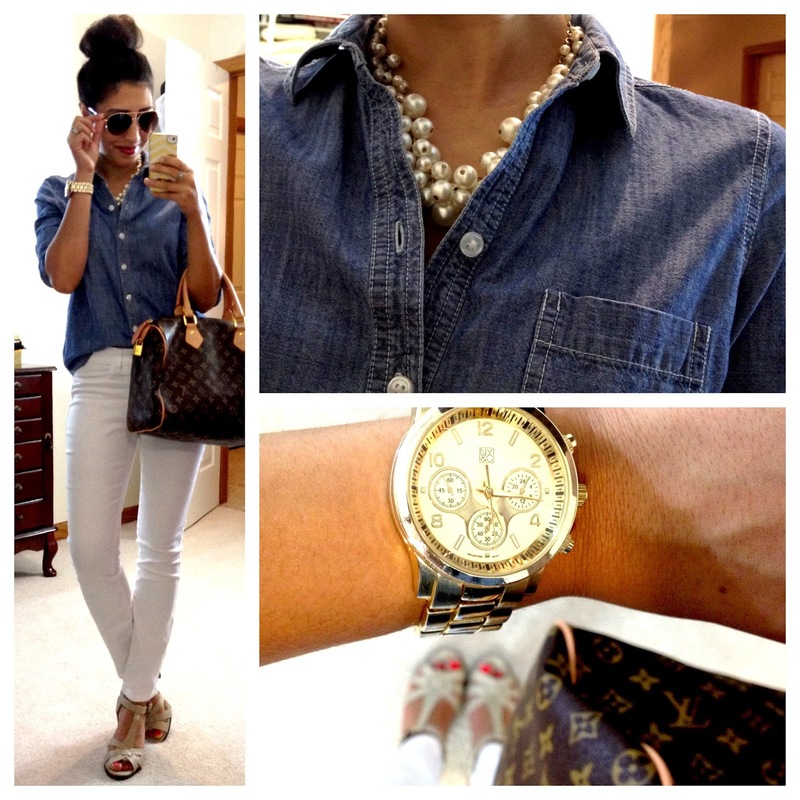 Love your mix of cheaper & more expensive items. It creates the perfect balance! How comfortable (or not) do you find the Mossimo Ona flats? I've been tempted by them...Thanks! 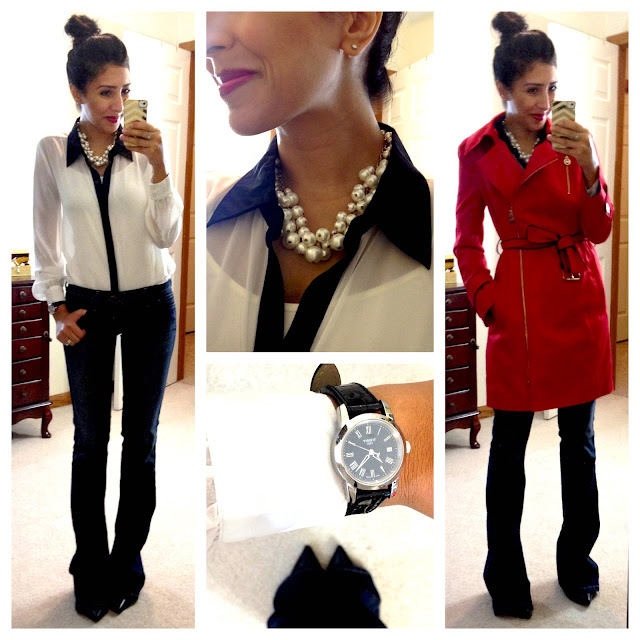 Your red trench coat is amazing! Love the tux jacket as well. You are so fab, doll!! Great outfits! 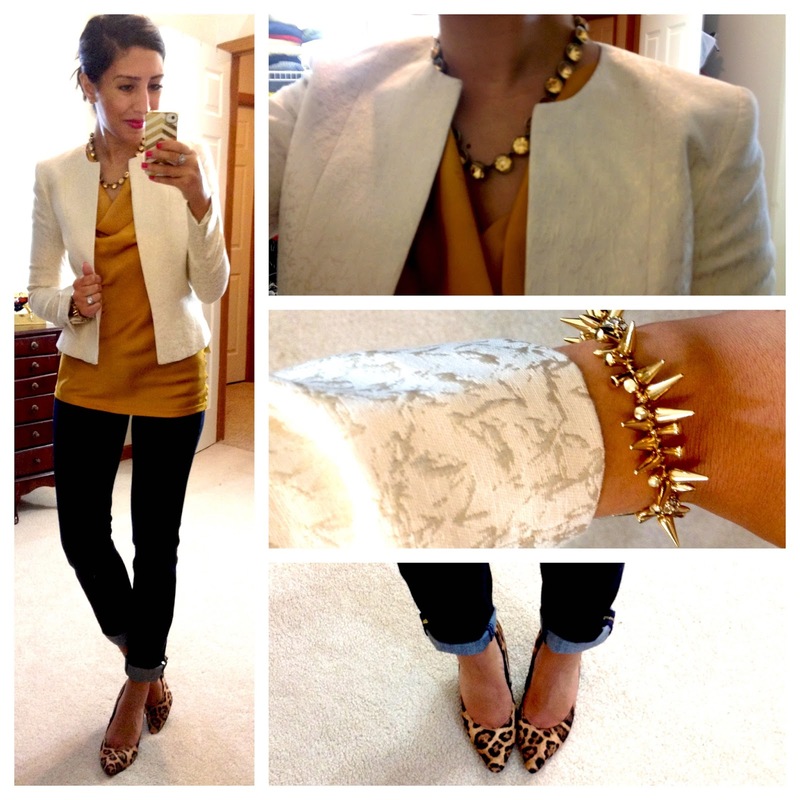 I love how you layered the necklaces and your gold captoe heels are gorgeous! I love all your outfits!! You have a great fashion sense and help out a lot on trying to pair my clothes together and mixing my pieces I already have. I would like to know if you H&M Jacket/blazer with your guess jeans is Blue striped or Black striped such a cute casual outfit :) Keep them coming look forward to your next blog! What height are sandels in last photo, love them. LuxerWatches is selling authentic brand watches, with authentic watches selling at a 75% discount.